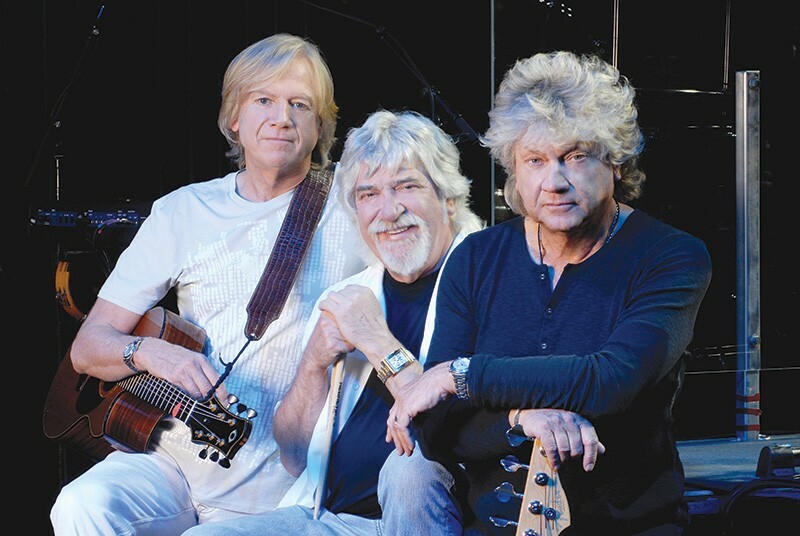 The Moody Blues play April 29 at 8pm at the Wells Fargo Center for the Arts. $69–$118. 50 Mark West Springs Road, Santa Rosa. 707.546.3600. wellsfargocenterarts.org. LONG DISTANCE VOYAGERS Justin Hayward, left, never expected 'Nights in White Satin' to be a hit. Justin Hayward has a featured position in the Moody Blues, as singer, guitarist and main songwriter. But that latter talent looks like it won't get any further use within that group. The Moody Blues last released an album in 2003, the holiday CD December. There hasn't been a studio album of new original music since 1999's Strange Times. Hayward believes that's likely to be the band's final studio album. "I think this is probably it," he says. "People want DVDs from us now. I think any product we do will be along that line." Touring with the Moody Blues, though, will remain a priority for Hayward. The band plays April 29 at the Wells Fargo Center for the Arts in Santa Rosa. But Hayward is also carving out time in his schedule for solo tours and making solo albums, like last year's Spirits of the Western Sky. If the Moody Blues are done making albums, they still leave fans with an impressive discography. Hayward and bassist John Lodge joined drummer Graeme Edge (this trio makes up the current lineup), keyboardist Mike Pinder and flute player Ray Thomas in time to make the album that saw the Moody Blues evolve from an R&B-based pop band into a far grander style of pop-rock, 1967's Days of Future Passed. Featuring Hayward's "Nights in White Satin," Future Passed is considered by many to be the first progressive rock album, and its lush, melodic and expansive songs gave the Moody Blues a stylistic template for the six additional albums they released before going on hiatus in 1974. The band returned four years later with Octave, and then really hit their stride artistically again with the 1981 album Long Distance Voyager. The 1980s saw three more studio albums and hit songs like "Your Wildest Dreams" and "I Know You're Out There Somewhere," before the pace of studio recordings slowed in the 1990s. "People think the '60s was our best time," Hayward says. "But to be honest, the most fun was that time in the '80s—to have that opportunity to be on TV and have hit singles in your early 40s. I was a kid in the '60s, with my head down and a little too stoned. In the '80s, I was able to enjoy it. Believe it or not, a lot of our audience today comes from that time, not the '60s." But rest assured—the Moody Blues also play their signature 1970s hits in concert, including "Nights in White Satin," a song Hayward never expected to be a hit. If he had, he says, "I would have run a mile if you'd have told me what would happen. I would have been scared."